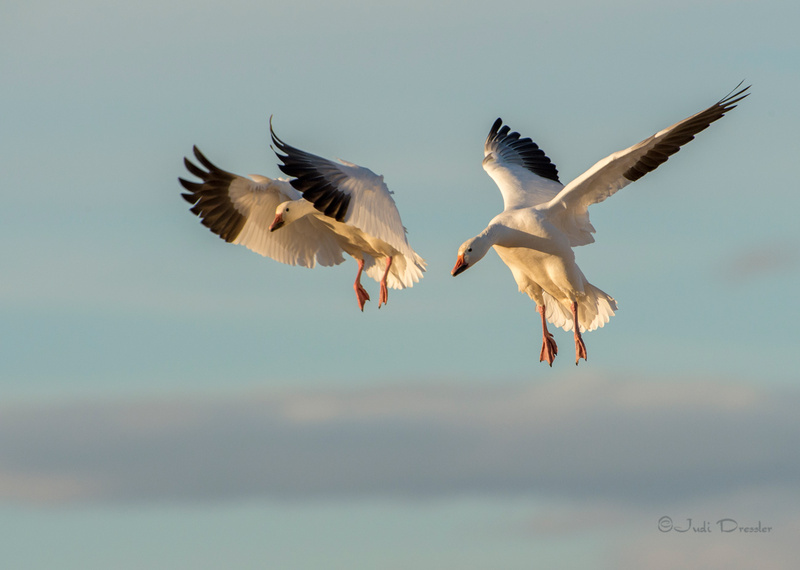 Snow Geese landing in the early evening. It was loud and awesome. Huge flocks of snow geese would fly up into the air, calling to each other and to those below. Some would fly off, while others circled and landed. The ones on the ground called as well. I was caught up in the magic. Shot taken in Bosque del Apache National Wildlife Refuge in New Mexico, where thousands of these geese spend the winter.